Heavy-Duty Z-Beam Storage Rack - Basic Starter Unit | Shelving, Inc. Engineered for HAND loading and unloading of difficult, bulky items, small parts and tools. Heavy-duty 14 ga. all welded upright frames are punched on 2” centers for maximum adjustability. “Z” step beams are made of rugged 14 ga. steel for maximum weight carrying capacity. Sturdy, 12 ga. beam connectors with reinforced 3-prong lug connection has a wedge angle design to provide a secure, stable fit. 16 ga. tie bars provide support to minimize beam rotation under heavy loads. Basic Starter connects quick and easy to Rack End. 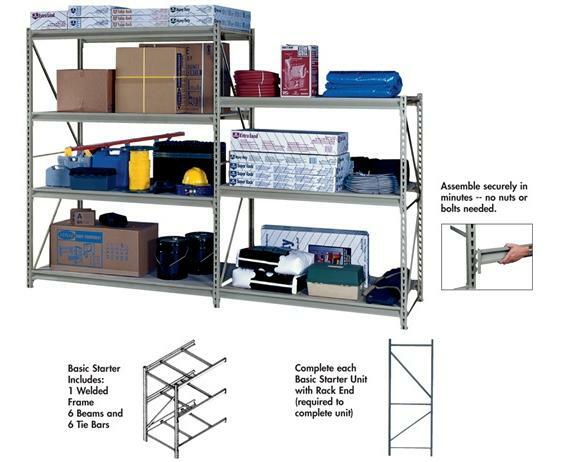 Use only one Rack End between sections when expanding in continuous rows. Durable Light Gray color. FOB Shipping Point. 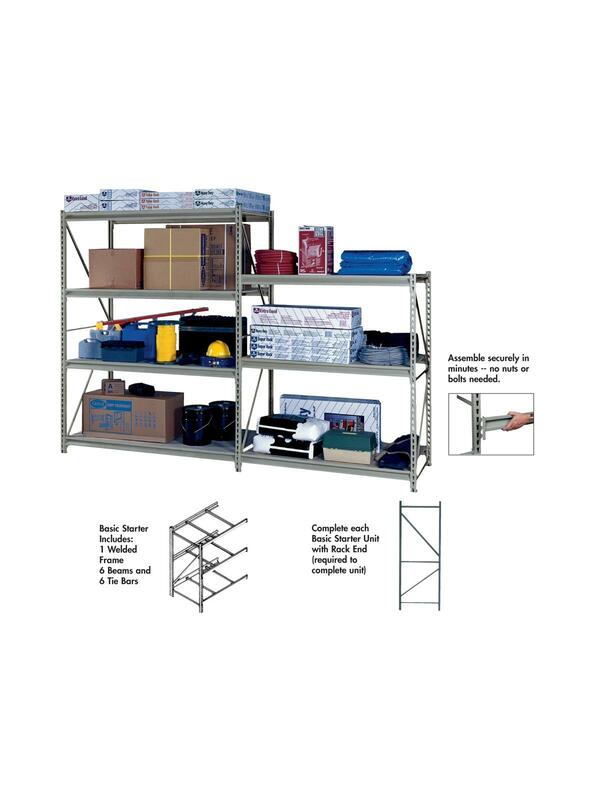 See Related Items tab for Heavy-Duty Z-Beam Storage Rack - Rack End and Heavy-Duty Z-Beam Storage Rack - Optional Shelves & Decks.